Our innovations have been shaping our customers’ success stories since 1990. We value collaborations in good faith and mutual trust that have inspired our engineering activities and still characterize our company. We are proud of the milestones we have achieved with, and for, our customers. SCOTT Sports SA is a Swiss producer of sporting goods with American roots. 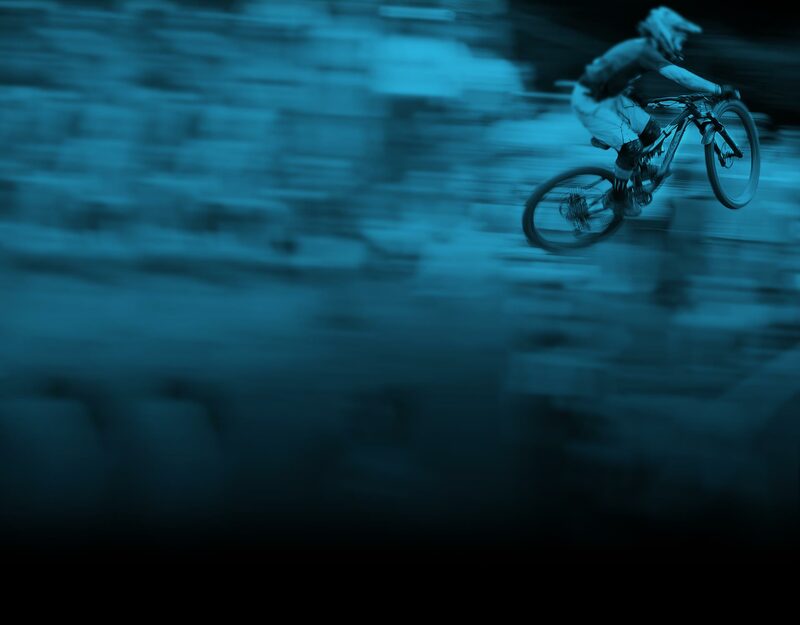 Right from the start, the company was able to set standards in the development of innovative bicycles and components: it revolutionized the still-young mountain bike segment with the development of Unishock suspension as early as 1991. In the racing bike segment, the development of aerodynamic racing handlebars (a milestone for the scene) was responsible for the Swiss producer’s success. Denk Engineering was exclusively active for SCOTT from 1995 to 2007, and was largely responsible for other milestones of the company. These include, for example, the development of the lightest full-suspension bikes in the world. The Strike bike that we developed got everybody talking about the Swiss company: the carbon mountain bike was the lightest full-suspension bike available at that time. It was also the first bike made of carbon, which is lighter, stiffer and tougher than its aluminum competitors. The first racing bike frame under 1,000 grams caused a stir: the Scott Scandium Road Team Issue had a frame weight of 990 grams thanks to its ultralight scandium tubing. No compromises were necessary regarding durability and ride characteristics, and the scandium Team Issue was the first frame below one kilogram to go into serial production. The Scott Genius carried Thomas Frischknecht to victory at the Marathon World Championship in Lugano. The bike triggered a wave of enthusiasm because it set new standards in both the cross-country and the marathon versions. With the Intelligent Linkage System (ILS), the four-pivot suspension had a totally new technology that intelligently adapted itself to the terrain. An air shock was also developed for the Genius and, in addition to linear characteristics, also offered three other spring deflection options. The Pullshock, also developed by Denk Engineering, in combination with the ILS allowed the advantages of four-pivot kinematics to be truly exploited for the first time. Denk Engineering developed a triathlon frame for Scott that was not only the lightest triathlon frame of its time (1,080 grams), but also defined new standards: the Scott Plasma scored with a flow-optimized profile, an integrated seat post and special carbon technology. Denk Engineering broke its own record and again built the world’s lightest full-suspension frame, the Scott Spark. The Scott Gambler became a bestseller among downhill bikes and further increased the company’s standing in the downhill scene. The American company Cannondale is a pioneer in the bike sector. Founded in 1971, it was one of the first bike producers to construct frames out of aluminum. Many highly successful athletes rode to success on Cannondale bikes, such as the Downhill World Champions Ann-Caro Chausson and Missy Giove, the Ironman World Champion Faris Al- Sultan and the victor of the Giro d' Italia Ivan Basso. Cannondale bikes are considered extremely reliable and durable, which the producer underlines with its lifelong warranty for the first owner of its frames. Cannondale has been using carbon for its top models for some years now. The company worked with Denk Engineering for six years. Numerous innovative and technically outstanding bikes, which were just as convincing on the road or trail as they had been in the test laboratory, were jointly developed. Whether in 2010 with 26-inch wheels or two years later in the 29-inch version: the carbon hardtail Cannondale Flash created a furor as the “superlative racer” (Bike magazine). With hitherto unknown stiffness values combined with extremely low weight and a “dream geometry” (MountainBIKE magazine), the bike was equally convincing uphill and downhill. “Unbeatable when combined with fast legs” was the summary in the German specialist magazine Bike. “The best-riding carbon-fibre hardtail you can buy,” according to the English press. Numerous victories on difficult courses underlined this assessment in practice. The SuperSix EVO racing bike set new standards in 2011 with the world’s best STW value and remarkable ride characteristics. It was celebrated by the press as the world’s best racing bike. Hence it was Tour Magazine’s “world’s best bike” and the “Editor’s choice” in Bicycling 2014. Numerous Eurobike Gold Awards rounded off its success. Cannondale presented the new race hardtail FSi 29 in 2014. The bike offered powerful acceleration and was highly maneuverable. Despite the agile riding performance, the bike provided enormous tracking stability and smooth running and thus, for the first time, overcame the disadvantages of early 29-inch bikes. By means of wider support for the spokes, the 29-inch wheels of the FSi also achieved the stiffness of smaller wheels for the first time. Another revolution was the shortened chain stays that allow the cyclist to more easily surmount obstacles and provide the rear wheel with excellent traction. In practice, the racing bike convinced test riders and racers with its combination of stable directional stability and agile maneuverability. “The F-Si is one of the best with large wheels that I have ever been permitted to ride” according to Stefan Loibl in the specialist magazine Bike.